If you are looking for movie reviews then the site that everyone suggests you is sure to be IMDB. There are no two things about the fact that this site is just fabulous and will provide you with all the information that is required about the movies, stars, producers, directors etc and to add to it, there are discussion forums that are present as well. But this is not the sole site that presents reviews of films. 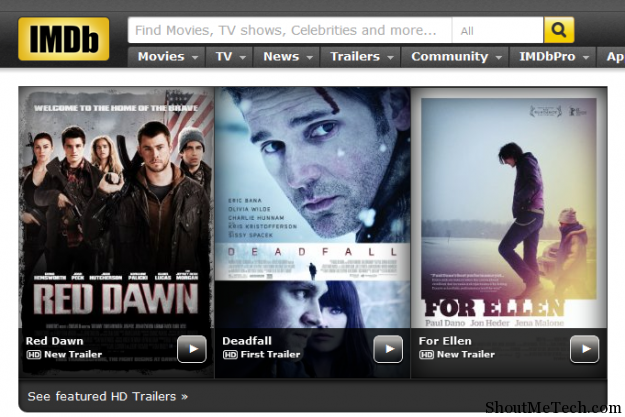 There are sites similar to imdb and they have their own special features. Here is a list of 5 sites like IMDB. No matter, my first choice is IMDB always but at the same time, I have seen many fake and bogus reviews on IMDB and that made me check out the movie review on other sites too. One particular reason I love IMDB because they also have a dedicated iOS app, which makes checking movie review easy form my iPhone. At movies.com you can get the reviews of all the latest films, trailers of films that are yet to be released and much more. The reviews are reliable and very much authentic. You will also get the weakly collections of the box office here and the views of renowned movie critics. Also, there is a newletter that is available and you need to sign up with them, to get your daily dose of films in your email. These are the 5 sites which are good alternative to IMDB that will provide you with all the information that you need about films and also about your favorite movie stars. So, go ahead and check them out. I think IMDB.com is the best site as of now.